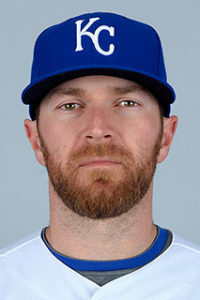 The Kansas City Royals announced that the team has exercised club options on right-handed pitcher Wade Davis and shortstop Alcides Escobar. Consistent with club policy, terms of the deals were not disclosed. The Royals also announced that first baseman/designated hitter Kendrys Morales and right-handed pitcher Edinson Volquez declined their mutual options. The Royals have also declined the mutual option on right-handed pitcher Kris Medlen after he exercised his portion of the mutual option. All three players are now free agents and are able to sign with any club, beginning Tuesday, November 8. Kansas City has also reinstated pitchers Tim Collins and Mike Minor and third baseman Mike Moustakas on the 60-day disabled list, bringing the Royals’ 40-man roster up to 39 players.